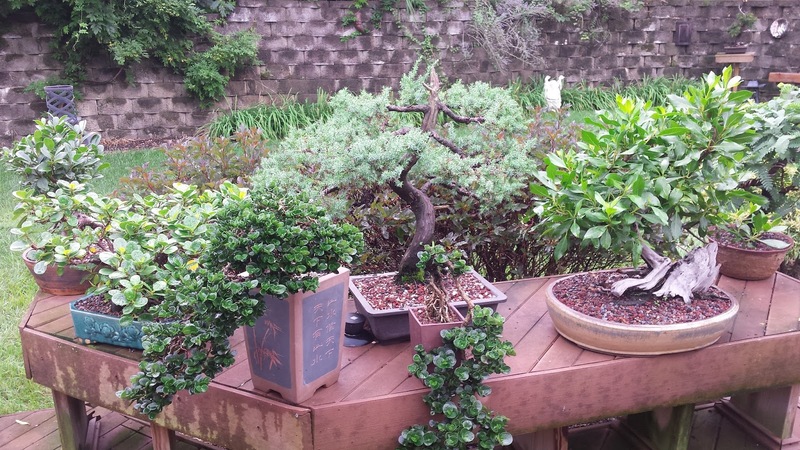 A bench full of bonsai specimens in Evan Luse's garden. Can a full grown tree fit in a tray? Sure. Bonsai is a miniature living landscape. It literally means “tree in a tray.” Oh, and by the way, bonsai is pronounced “bone sigh.” Bonsai practitioner, Evan Luse, says It’s so easy. Some people make it harder that it should be. And after talking with him, I would agree. But I am not telling him that I managed to let one die under my care. The seed of interest was planted while in high school. It was a high school teacher who taught about it in History of the NonWestern World and one of our topics was Japan and he talked about bonsai. He even had a few bonsai. And I thought,” Cool! Miniature trees.” So I dabbled in it for 15 years or so and could never really keep them alive long term. And then I met Richard Strauss, who lived in Bellevue. He took me under his wing as a student for about 15 years - until he passed. I learned a lot. It’s a relaxing fun hobby because it’s a living art that you perform…. 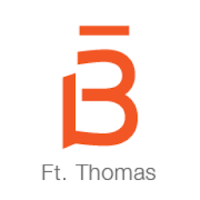 I learned the aesthetics, techniques, and philosophy behind it. So what is the appeal? I can’t say. I was just really drawn to Asian art especially Japanese art and gardens, the meditative properties, and peacefulness around it. Then he got involved in the Bonsai Club of Greater Cincinnati. They sponsor the bonsai show at the Krohn Conservatory that opens this weekend (September 13) and also sponsor a display at the annual Cincinnati Garden Show. He says The bonsai community is a really friendly community and it just draws people together. There is a fellowship and camaraderie. 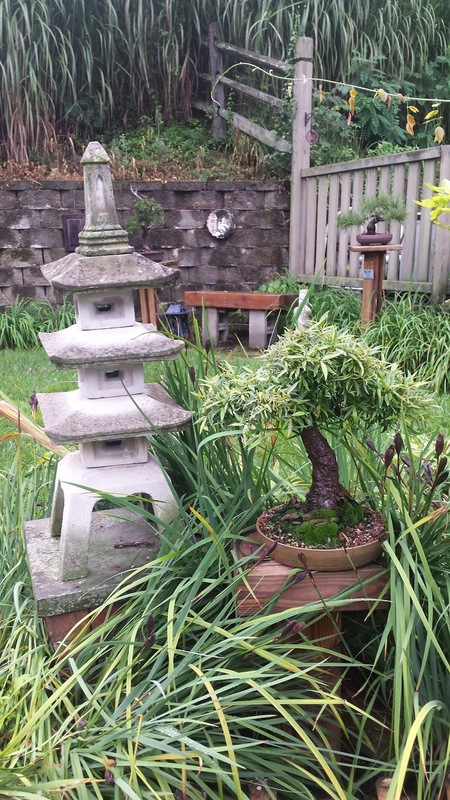 Luse has close to 50 bonsai specimens on his garden. With every turn I found another arrangement or cluster of a variety of little trees. And each one was different from the others. He has trained into bonsai form a Brazilian rain tree, Tamerine, Buttonwood, Blue Spruce, Larch, Narrow Leaf Ficus, wisteria, and the common yew, used as shrubbery in many home landscapes. Some younger specimens have copper wire looped around limbs guiding it into a particular shape. Each one is in a different state of development. I couldn’t help but ask if it took much of his time. He said that maintenance doesn’t take much work. I work in a hospital so I never have much time to work on them. Weekends and here and there. I may repot trees every other year or so. 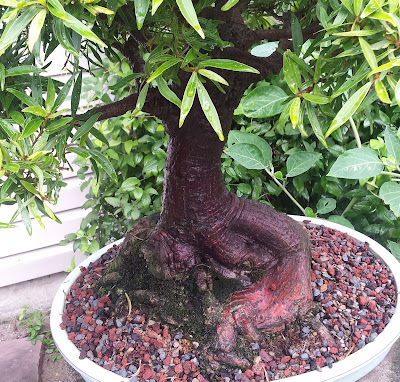 But unlike houseplants where you repot the plant into a bigger pot, with bonsai you trim the roots and place it back in the same pot with new soil. Simple? Yes and no. It does require patience and timing. Look at the detail in the roots. Luse has cultivated multiple styles with various types of trees. He claims that any tree can become a bonsai. He went out into the woods one day to collect specimens and returned with a few American hornbeam tree sprouts. They were the size of a pencil when he found them and he has been training them for about 5 years. They have gone through various trimmings and pottings but the effect is quite pleasing as the roots twist and meld into each other and the branches reach out and up. Bonsai seems to take the macro world and shrink it into a contemplative and pleasing micro version of the world. I don’t think there is a better mental health hobby. 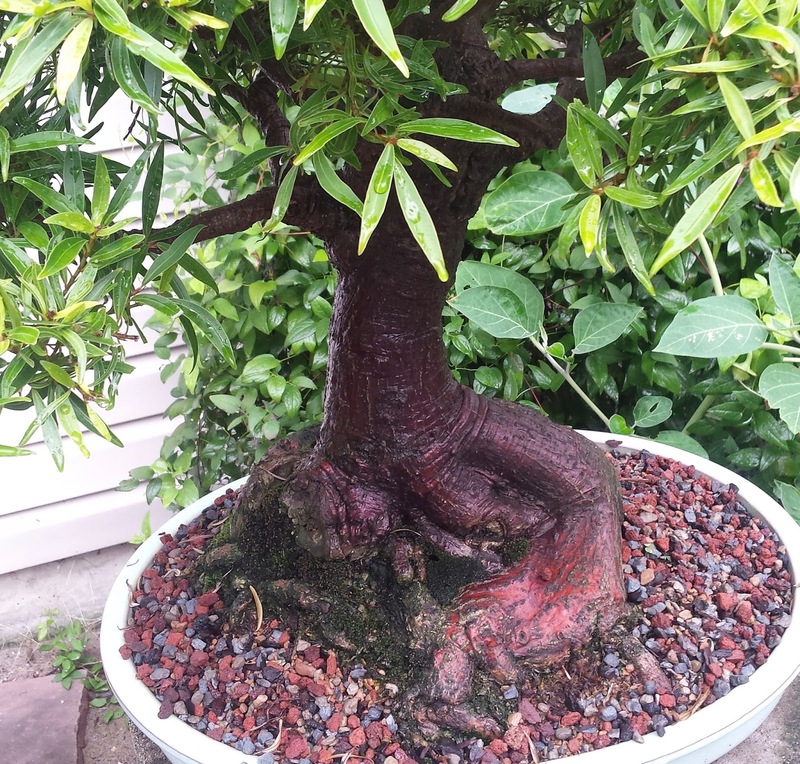 Luse says that bonsai gardening is relaxing and meditative. It’s easy to lose track of time. He takes a comfortable and casual approach to his hobby but he is serious about learning the art and practicing it well. I have so much more to learn. His garden may not be as formal as many Japanese bonsai gardens but it is quite contemplative and pleasing. You know, last year I lost my parents so I come out here and just get lost in tending things. And that’s a good and soothing thing. You have to have vision of what you want the tree to become and work toward that. It’s a never ending process - always looking to what to improve, what to do next. So what’s next on the bonsai list? I’d like to go to Japan. That’s number one on my bucket list. I’d like to go to more national shows. I’d like to have a tree good enough to display in a national show. 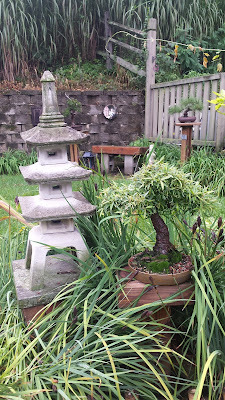 Part of Evan Luse's bonsai garden. I have noticed that there is often a connection between a career choice and a hobby. That is true here. 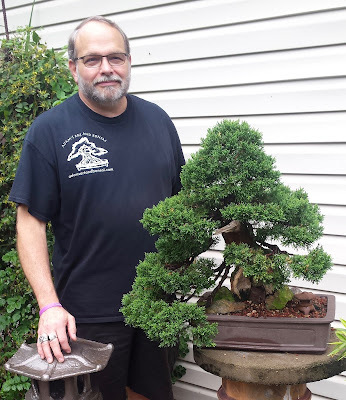 What has Evan Luse learned about himself from bonsai gardening? I’d have to say that life is really precious. He has worked in hospital settings for 40 years now so he is accustomed to helping people live and even thrive. The same is true for his hobby. You want to see people and trees live too. You could be working and working and working and for no good reason a tree dies. That is one of the frustrating things about bonsai because usually you don’t know why they died and it’s usually a favorite tree. But I like to help things along. And sometimes helping something along seems a bit drastic. Sometimes you defoliate a bonsai tree. It may appear that you’re killing it by defoliating it or even trimming the roots but it’s making the tree stronger and changes it into something stronger. And that is true for us as well. Sometimes you have to trim things out of your life in order to be stronger or better. You have to get rid of the deadwood or you have to cut things back to what is important. You don’t want to be around people who drain you dry or are negative or bring you down. You want to be around people who lift you up. Luse works in the Cardiovascular Special Procedures Department at Jewish Hospital. It’s specialized work the demands exactness and compassion Work is my passion I feel it is a privilege to be an extension of God’s healing hands. I love helping people. I really do. I feel like it’s where I’m supposed to be. When a patient is writhing in cardiac pain and we insert a stent and then later the patient is joking with you, that is a pretty good feeling. I will work until I can’t make a difference any more. The minute exactness of the lab and heart surgery relates to the minute exactness of bonsai work. It requires patience, vision, time, and a certain elegance. That is true whether it is nursing a tree or a person. Most people might not consider medicine as a beautiful art but as Luse says, It’s pretty beautiful when you save someone’s life. The English poet, Alfred Austin wrote that "The glory of gardening: hands in the dirt, head in the sun, heart with nature. To nurture a garden is to feed not just on the body, but the soul." Evan Luse agrees. More people should do bonsai. It would be a more peaceful world. Evan Luse and one of his many bonsai.